GIACOMO GALEAZZI - VATICAN CITY - The image of an empty tabernacle and the hosts being kept locked up elsewhere seems almost heretical. But in truth, keeping the Eucharist safe is well worth breaking away from the norm. There is nothing more sacred in the Church than the consecrated Host. Yet for months now, these violations and abuses have been taking place, one right after the other: from the two Muslims in Sondrio who received the host in their hands from a priest - only to put it in their pockets, to a barrage of sacrilegious thefts throughout Italy. It has become bad enough to justify a forceful and unusual act by a bishop, intended to set an example for others: keep the wafers in a protected place in the parish, just like people keep their jewels in a safe. "It is correct to protect them from a serious threat – something decisive had to be done," is the talk heard in the Vatican. In short, the Holy See has approved the locking up of the hosts to prevent them from being stolen and used by satanic cults in their black masses. And even at highest levels of the Italian Conference of Bishops, a "hard line" against desecration finds full support. The canonist Cardinal Velasio De Paolis, current Director for the Pontifical Congregation of the Legionaries of Christ, who has long occupied top positions at the Supreme Tribunal of the Apostolic Signatura and various Vatican dicasteries, supports the "exceptional measure" initiated by the Archbishop of Monreale, Salvatore Di Cristina. 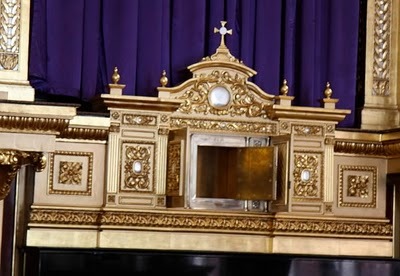 In the face of the escalation of sacrilegious thefts throughout Italy, it is right to hide the consecrated hosts in a secure location, and to leave the tabernacles empty and open to prevent their being broken into. In canon law, explained the cardinal of the Curia, the desecration of the Eucharist is the worst thing one can do - a crime punished with excommunication "latae sententiae" reserved to the Apostolic See. "It is evoked 'ipso facto', that is, for the very fact of having committed it, and excommunication is automatic," De Paolis explains to Vatican Insider. 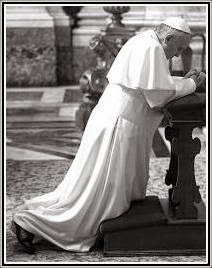 Following the repeated sacrilegous acts in various towns in the Archdiocese, openly aiming at the profanation of the Most Blessed Eucharist, while deploring with boundless pain the dishonorable events, I feel bound to warmly invite all the brothers and sisters of our Church to reparatory prayer, to collective and personal penance, and to the permanent surveilance of the most sacred thing God entrusts to our protection by his goodness. At the same time, in order to prevent such sacrilegous acts from being perpetrated, I order that, until further notice, the sacred eucharistic species be removed from all tabernacles, that will therefore remain empty in all churches. 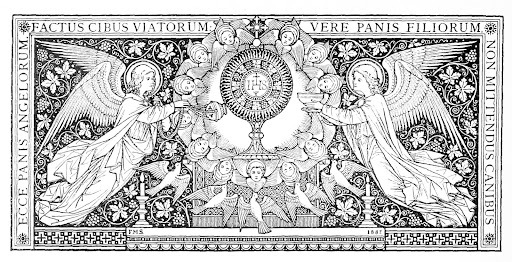 Let instead turns of adoration be established, in which the Eucharist shall remain exposed for adoration by all those present and thereafter either sacramentally consumed or guarded in locations that are reserved and as safe as possible. 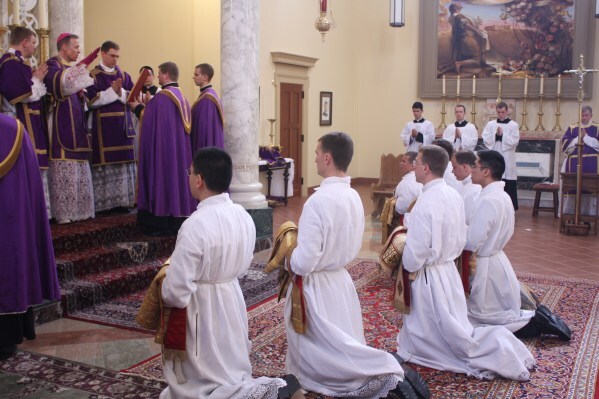 Below, please find the fifty-fifth posting of enrolled souls of the Rorate Caeli Purgatorial Society, which has 15 holy priests saying regular Traditional Latin Masses for the souls. It's pleasing to see souls from new countries against this week, from places such as Tonga and Estonia. During Lent, please consider adding a great work of mercy, and enrolling as many souls as you can think of. It will not only benefit them, but you as well, in ways you could never imagine. You have until next week -- don't delay. Our priories, if they try to be truly supernatural, do not attract as many as they should. Why? We are undeniably often inaccessible to the men of this age. Our nearest goal is not to attract everyone, clearly, but those souls that display a certain openness to the Faith and to God's Love. Even these souls are sometimes discouraged when coming to our chapels. The reasons? A heightened mistrust, divisions and criticisms that show only pride, disparaging comments on clothing, bitter and useless political arguments. Thanks to the subliminal instruments of the devil... Thanks to those people who know better than God the speed with which souls should move forward... Let us try to lower the obstacles for conversions rather than heightening them. But that is not enough: we must attract. Missionaries have always achieved this for 2000 years: adapting as much as possible to the target population, guided by a sense of finality and by Christian moral principles. There should not be a "Trad environment". Catholic Tradition is not supposed to be a social milieu, because Christianity is not that. Tradition must ressemble all social environments, and welcome them with their own identities. We are not for the elimination of classes. The dressing trends that have, little by little, become dominant among us reflect modesty - which is necessary -, but modesty is not limited to Trad dressing fashions. By willing to impose clothing rules, we put people off more than we form them. The consequence is a sort of freeing oneself excessively from those rules, which then moves onto immodesty. A further consequence is a sort of sclerotic portrayal of Tradition, which seems to live in the 1950s - not very attractive! Yet the force of bringing people together within Catholic Tradition is in the logical relationship between our Faith and our daily life. This coherence must reflect our conviction and our sincerity, and not only rules. Catholic Truth is truly brought into light by it. And this is what attracts. But let us remain always as close as possible to our contemporaries of good will. We must then be firm with regard to ourselves, but shine with mercy and understanding for our neighbor. Then he will love our firmness! There will be those who will read Father's words and immediately say: but the 1950s were attractive to me! That is not his point: his point is, does this help attract more people who could be souls favorable to Tradition? What is more important, to keep the aesthetics of any moment in time (one moment in time for one part of mankind), or to try to find the best way to attract those sensitive souls who might otherwise reject Tradition for circumstantial external aspects? The 26-year-old who lives in a registered homosexual partnership, may now belong to a parish council in the Weinviertel [region]. The Archdiocese of Vienna confirmed on Friday the election of a 26-year-old homosexual council member in the Stützenhofen municipality of the Weinviertel [region, north of Vienna]. The case had triggered a heated debate. 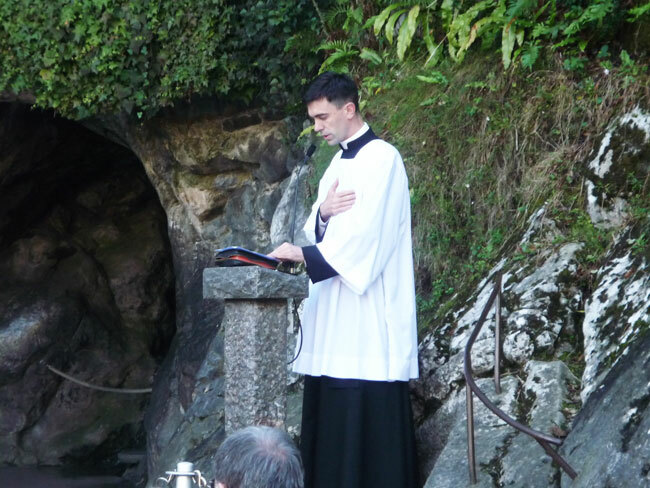 Florian Stangl, who lives in a registered partnership, had been elected in mid-March, and, although chosen by a large majority of the population,had been rejected by the local priest because of his way of life. The diocese has specifically approved the first such case. Cardinal Christoph Schönborn also met Stangl and his partner. However the most significant new departure, contained in the appendix of the book, concerns cremation. Msgr. Lameri explained that the issue of cremation had been placed in an appendix to highlight the fact that the Church, "although she does not oppose the cremation of bodies, when not done 'in odium fidei', continues to maintain that the burial of the dead is more appropriate, that it expresses faith in the resurrection of the flesh, nourishes the piety of the faithful and favours the recollection and prayer of relatives and friends". In exceptional cases the rites normally celebrated at the cemetery chapel or the tomb may be celebrated at the cremation site, and it is recommended that the coffin be accompanied to that site. One particularity important aspect is that "cremation is considered as concluded when the urn is deposited in the cemetery". 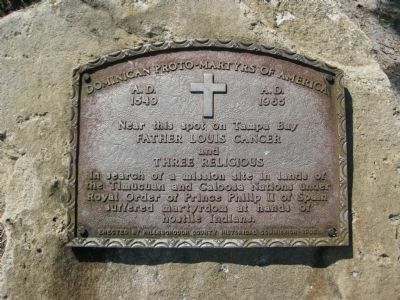 This is because, although the law does allow ashes to be scattered in the open or conserved in places other than a cemetery, "such practices ... raise considerable doubts as to their coherence to Christian faith, especially when they conceal pantheist or naturalistic beliefs". The new "Funeral Rites" also focuses on the search for the meaning of death. Concluding the presentation, Bishop Alceste Catella, president of the Episcopal Commission for Liturgy, explained that "the book is testament to the faith of believers and to the importance of respect and 'pietas' towards the deceased, respect for the human body even when dead. It is testament to the pressing need to cultivate memory and to have a specific place in which to place the body or the ashes, in the profound certainty that this is authentic faith and authentic humanism". 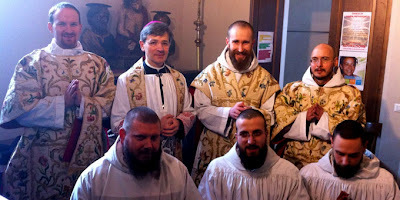 The Bishop [of Foligno, Gualtiero Sigismondi,] has asked the monks of Norcia to celebrate a series of solemn Masses in the Extraordinary Form of the Roman Rite as part of his effort to expose the faithful of his diocese to the traditional form. 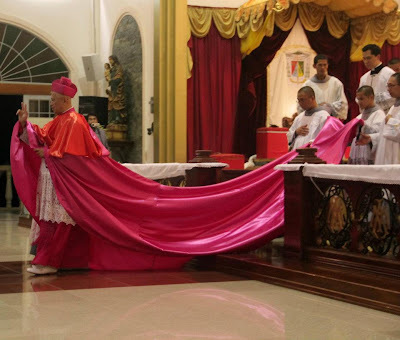 The Bishop usually attends the Mass himself and sits in choir, thus giving a personal witness to the importance of this “treasure of the Church”, as Pope Benedict calls it. Catholics in Media -- which boasts three religious in "good standing" on its Board -- has announced its annual television award. The honor goes to: ABC's "Modern Family." "Today's American families come in all shapes and sizes. The cookie cutter mold of man + wife + 2.5 kids is a thing of the past, as it becomes quickly apparent in the bird's eye view of ABC's new half-hour comedy, MODERN FAMILY, which takes an honest and often hilarious look at the composition and complexity of modern family life. "The 19th Annual﻿ Catholics In Media Associates Mass & Awards Brunch will be held on April 29 at the Beverly Hills Hotel. Mass begins at 10 a.m. Awards and Brunch to follow." Prayers asked: "Not my will, but thine be done"
"Not my will, but thine be done"
Since the meeting on March 16, 2012, with Cardinal William Levada, Prefect of the Congregation for the Doctrine of the Faith, Bishop Bernard Fellay, Superior General of the Society of St. Pius X, has urgently been inviting the faithful to redouble their fervor in prayer and their generosity in making sacrifices during these Holy Days of Lent and in the weeks that will follow the solemnity of Easter, that the Divine Will may be done, and it alone, after the example of Our Lord Jesus Christ in the Garden of Olives: non mea voluntas, sed tua fiat (Luke 22:42). The Rosary Crusade that started on Easter 2011 and is scheduled to end on Pentecost 2012 is proving more than ever to be indispensable. This is why the Society of St. Pius X, which wants only the good of the Church and the salvation of souls, turns with confidence to the Blessed Virgin Mary, so that she might obtain from her divine Son the lights necessary to know His will clearly and to carry it out courageously. May the faithful be so kind as to offer one holy communion for this intention. May they make fully their own, in thought and in deed, the prayer that Our Lord asked us to address to our heavenly Father: Sanctificetur nomen tuum, adveniat regnum tuum, fiat voluntas tua sicut in caelo et in terra; hallowed be Thy name, Thy kingdom come, Thy will be done on earth as it is in heaven! A la suite de sa rencontre, le 16 mars 2012, avec le cardinal William Levada, Préfet de la Congrégation pour la Doctrine de la Foi, Mgr Bernard Fellay, Supérieur général de la Fraternité Saint-Pie X, invite instamment les fidèles à redoubler de ferveur dans la prière et de générosité dans les sacrifices en ces Jours Saints et dans les semaines qui suivront la fête de Pâques, afin que la Volonté divine se fasse, et elle seule, comme N.S. Jésus-Christ nous en a donné l’exemple au Jardin des Oliviers: non mea voluntas, sed tua fiat (Luc,22,42). Plus que jamais se révèle indispensable la Croisade du Rosaire, commencée à Pâques 2011 et qui doit s’achever à la Pentecôte 2012. C’est pourquoi la Fraternité Saint-Pie X qui ne veut que le bien de l’Eglise et le salut des âmes, se tourne avec confiance vers la T. S. Vierge Marie afin qu’elle lui obtienne de son divin Fils les lumières nécessaires pour connaître clairement sa volonté et pour l’accomplir courageusement. Que les fidèles veuillent bien offrir une sainte communion à cette intention. Qu’ils fassent pleinement leur, en pensée et en acte, la prière que Notre Seigneur nous a demandé d’adresser à notre Père des cieux: Sanctificetur nomen tuum, adveniat regnum tuum, fiat voluntas tua sicut in caelo et in terra; que votre nom soit sanctifié, que votre règne arrive, que votre volonté soit faite sur la terre comme au ciel! Luego de su encuentro, el 16 de marzo de 2012, con el Cardenal William Levada, Prefecto de la Congregación para la Doctrina de la FE, Mons. Fellay, Superior General de la Fraternidad San Pío X, invita instantemente a los fieles a redoblar el fervor en la oración y la generosidad en los sacrificios en estos Días Santos y en las semanas que vendrán luego de la Fiesta de Pascua, para que se haga la Voluntad de Dios, y sólo ella, siguiendo el ejemplo que N. S. Jesucristo nos dio en el Jardín de los Olivos: non mea voluntas, sed tua fiat (Luc. 22,42). Más que nunca se muestra indispensable la Cruzada del Rosario, comenzada en Pascua de 2011 y que debe terminarse en la fiesta de Pentecostés de 2012. Por ello la Fraternidad San Pío X, que sólo quiere el bien de la Iglesia y la salvación de las almas, se dirige con confianza a la Santísima Virgen María para que ella le obtenga del su divino Hijo las luces necesarias para conocer claramente su voluntad y para cumplirla audazmente. Que los fieles tengan a bien ofrecer una santa comunión por esta intención. Que hagan plenamente suya, en pensamiento y en obra, la oración que Nuestro Señor nos pidió dirigir a nuestro Padre de los cielos: Sanctificetur nomen tuum, adveniat regnum tuum, fiat voluntas tua sicut in caelo et in terra, ¡santificado sea tu nombre, venga a nosotros tu reino, hágase tu voluntad así en la tierra como en el cielo! Nach dem Treffen am 16. 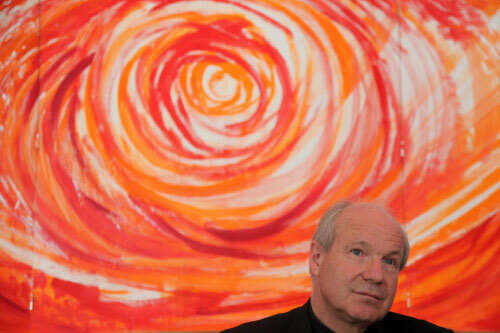 März 2012 mit Kardinal William Levada, dem Präfekten der Glaubenskongregation, lädt der Generalobere Bischof Bernard Fellay alle Gläubigen dringend ein, ihren Eifer und ihre Grossherzigkeit in Gebet und Opfer in diesen heiligen Tagen und während der Wochen nach Ostern zu verdoppeln, damit Gottes Wille geschehe, er allein, wie der Heiland Jesus Christus uns im Garten Gethsemane ein Beispiel gegeben hat: non mea voluntas, sed tua fiat (Luk 22, 42). Mehr denn je offenbart sich der Rosenkranzkreuzzug als unerlässlich, den wir an Ostern 2011 begonnen haben und der bis Pfingsten dieses Jahres dauern soll. Darum wendet sich die Priesterbruderschaft St. Pius X., die nur auf das Wohl der Kirche und das Heil der Seelen bedacht ist, voll Vertrauen an die allerseligste Jungfrau Maria, damit sie ihr von ihrem göttlichen Sohne das notwendige Licht erlange, dass sie braucht, um Seinen heiligen Willen klar zu erkennen und mutig zu erfüllen. Die Gläubigen sind gebeten, eine heilige Kommunion in dieser Meinung aufzuopfern und sich das Gebet in Gedanken und Werken ganz zu eigen zu machen, welches unser Herr uns gelehrt hat, an unseren himmlischen Vater zu richten: Sanctificetur nomen tuum, adveniat regnum tuum, fiat voluntas tua sicut in caelo et in terra: Geheiligt werde Dein Name, zu uns komme Dein Reich, Dein Wille geschehe, wie im Himmel also auch auf Erden! In seguito al suo incontro, il 16 settembre 2011, con il Cardinale William Levada, Prefetto della Congregazione per la Dottrina della Fede, Mons. Bernard Fellay, Superiore Generale della Fraternità San Pio X, esorta i fedeli a raddoppiare il fervore nella preghiera e la generosità nei sacrifici, in questi Santi Giorni e nelle settimane che seguiranno la Festa di Pasqua, affinché si faccia la Volontà divina, essa sola, secondo l’esempio datoci da Nostro Signore Gesù Cristo nell’Orto degli Ulivi: non mea voluntas, sed tua fiat (Luca 22, 42). Più che mai si rivela indispensabile la Crociata del Rosario, iniziata a Pasqua del 2011 e che deve concludersi alla Pentecoste del 2012. Perché la Fraternità San Pio X, che vuole solo il bene della Chiesa e la salvezza delle anime, si rivolge fiduciosa alla Santissima Vergine Maria, affinché Ella le ottenga dal suo Divino Figlio i lumi necessari per conoscere chiaramente la Sua volontà e per compierla coraggiosamente. Che i fedeli vogliano offrire una Santa Comunione con questa intenzione. 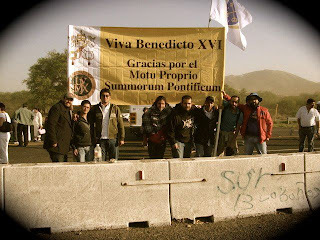 Che facciamo interamente loro, in pensieri e opere, la preghiera che Nostro Signore ci ha chiesto di rivolgere al Nostro Padre dei Cieli: Sanctificetur nomen tuum, adveniat regnum tuum, fiat voluntas tua sicut in caelo et in terra; sia santificato il tuo nome, venga il tuo regno, sia fatta la tua volontà come in cielo così in terra! "Cuba, a land made beautiful by the maternal presence of Mary." 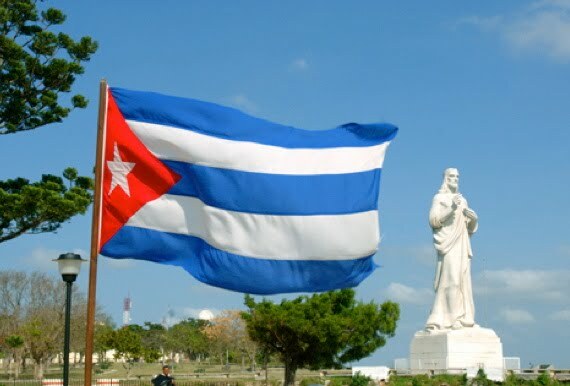 The light of the Lord, has shone brightly during these days; may that light never fade in those who have welcomed it; may it help all people to foster social harmony and to allow the blossoming of all that is finest in the Cuban soul, its most noble values, which can be the basis for building a society of broad vision, renewed and reconciled. May no one feel excluded from taking up this exciting task because of limitations of his or her basic freedoms, or excused by indolence or lack of material resources, a situation which is worsened when restrictive economic measures, imposed from outside the country, unfairly burden its people. As a priest and canon lawyer, I'd like in canonical terms, to revisit the controversial events surrounding the denial of Holy Communion to Barbara Johnson by Father Marcel Guarnizo. 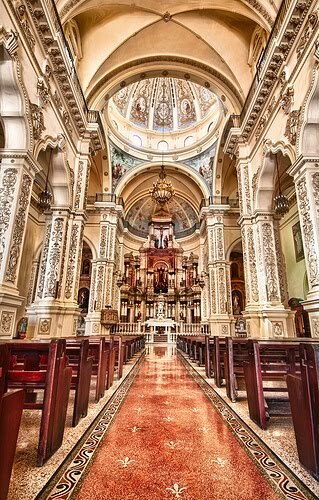 First of all, while I agree with many of the points by the very well-respected canonist Dr. Ed Peters, I believe that even with the rather limited information currently available, Father Guarnizo very possibly and correctly satisfied the conditions of canon 915 in denying Holy Communion to Barbara Johnson. 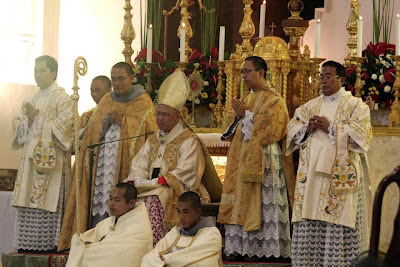 Secondly, I would like to comment on Father Guarnizo's unjust "administrative leave" in light of the Code of Canon Law. "Those upon whom the penalty of excommunication or interdict has been imposed, and others who obstinately persist in manifest grave sin, are not to be admitted to Holy Communion." Can. 18 - "Laws which establish a penalty, restrict the free exercise of rights, or contain an exception from the law are subject to strict interpretation." Can. 912 - "Any baptized person not prohibited by law can and must be admitted to Holy Communion." "We should receive Jesus with the intention of becoming more like Him. No one is entitled to the Eucharist. It is a free gift and should be received with humility and reverence." Ed Peters is again correct to say that the burden lies upon Father Guarnizo to prove he satisfied the requirements of canon 915. On the other hand, canon 915 lays a grave obligation on the minister of Holy Communion to protect the Eucharist from sacrilege and to prevent scandal. It goes without saying that the minister who violates canon 915 should be justly punished. "Guarnizo did not know, and could not have verified, whether Johnson’s sin (speaking objectively), which could be grave (a conclusion I think a Catholic could reach based on the words used here) was also manifest, as well as obstinate and perseverating (sic). " This statement raises a question. Given the extremely limited information we currently have from a variety of sources, how exactly does Ed Peters judge that Father "Guarnizo did not know, and could not have verified" Barbara Johnson was not a manifest, grave sinner? It is safe to assume that Ed Peters was not present at the chapel for the funeral, nor was he in the sacristy, nor does he have knowledge of who or how many persons witnessed the conversation that took place between Father Guarnizo and Barbara Johnson. Christ, the light "who alone can destroy the darkness of error"
“Blessed are you, Lord God…, and blessed is your holy and glorious name” (Dan 3:52). ... “Blessed be God” who gathers us in this historic square so that we may more profoundly enter into his life. I feel great joy in being here with you today to celebrate Holy Mass during this Jubilee Year devoted to Our Lady of Charity of El Cobre. [T]he three young men persecuted by the Babylonian king preferred to face death by fire rather than betray their conscience and their faith. They experienced the strength to “give thanks, glorify and praise God” in the conviction that the Lord of the universe and of history would not abandon them to death and annihilation. Truly, God never abandons his children, he never forgets them. He is above us and is able to save us by his power. At the same time, he is near to his people, and through his Son Jesus Christ he has wished to make his dwelling place among us. “If you continue in my word, you are truly my disciples, and you will know the truth, and the truth will make you free” (Jn 8:31).... Jesus reveals himself as the Son of God the Father, the Saviour, the one who alone can show us the truth and give us genuine freedom. His teaching provokes resistance and disquiet among his hearers, and he accuses them of looking for reasons to kill him, alluding to the supreme sacrifice of the Cross, already imminent. Even so, he exhorts them to believe, to keep his word, so as to know the truth which redeems and justifies. The truth is a desire of the human person, the search for which always supposes the exercise of authentic freedom. Many, without a doubt, would prefer to take the easy way out, trying to avoid this task. Some, like Pontius Pilate, ironically question the possibility of even knowing what truth is (cf. Jn 18:38), claiming is incapable of knowing it or denying that there exists a truth valid for all. This attitude, as in the case of scepticism and relativism, changes hearts, making them cold, wavering, distant from others and closed. There are too many who, like the Roman governor, wash their hands and let the water of history drain away without taking a stand. Let all those you meet know, whether near or far, that I have entrusted to the Mother of God the future of your country, advancing along the ways renewal and hope, for the greater good of all Cubans. I have also prayed to the Virgin for the needs of those who suffer, of those who are deprived of freedom, those who are separated from their loved ones or who are undergoing times of difficulty. I have placed in her Immaculate Heart young people, that they may be authentic friends of Christ and that they may not succumb to things which bring sadness in their wake. ... And I cannot forget the many country people and their families who wish to live the Gospel deeply in their homes and who offer their homes as mission centres for the celebration of Mass. A common question at traditional Latin Mass parishes and chapels this time of year is: Who is allowed to chant the Passion? The answer: Three deacons, or priests vested as deacons. There are no exceptions to this rule outside of the schola being permitted to chant the full crowd's parts. We are talking about the Gospel of the Mass. The Passion of Saint Matthew is the Gospel for Palm Sunday. The Passion of Saint Mark is the Gospel for Tuesday in Holy Week. The Passion of Saint Luke is the Gospel for Wednesday in Holy Week. 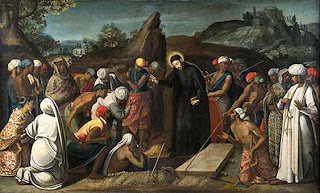 The Passion of Saint John is the Gospel on Good Friday. Q. On Palm Sunday and Good Friday, during the singing of the Passion Gospel, are laymen permitted to sing the role of the Synogaga or Chronista? A. The Rites of Holy Week by Fr Frederick McManus, published in 1956 by the St Anthony Guild Press, Paterson, NJ, states that, the "Passion is divided into 3 parts: the narration (C for Chronista), the words of Christ (+), and the words of the crowd or of anyone else (S for Synogoga)...The choir (even of lay persons) may take the part of the crowd; the 3rd deacon then sings only the words of individuals (i.e. Pilate, Peter, etc)." (page 69). Summary: help your local clergy learn the chanted parts of the Passion, starting with the two most often sung (Matthew and John). In the meantime, laymen chanting the Passion on Palm Sunday or Good Friday is as illicit as laymen chanting the Gospel at Mass any other day of the year. An event of great interest to our readers and friends in the Tampa Bay Area: an introductory course in three sessions, starting on April 14, in the Parish of the Incarnation, in Tampa, Diocese of St. Petersburg. These three introductory sessions will explore the basics of the Latin Mass in order to give a better understanding of the words, language, and structure of this most holy prayer. The Introduction is divided into three separate Sunday sessions, with different information presented at each session. For those who cannot attend the afternoon sessions on Sunday, the same information will be presented in the Saturday morning sessions. That is, for a given weekend, you can attend either the Saturday or Sunday sessions as the information on a particular weekend will be the same. However, each consecutive weekend session will build on the previous weekend session's information; therefore, we encourage you to try to attend all three. We will wrap it all up by having a celebration of the Extraordinary Form of the Mass (a Latin Mass) on Sunday, May 6th, beginning at 4:00pm at Incarnation Catholic Church. We congratulate the seven new deacons of the Priestly Fraternity of St. Peter, ordained on March 17 of this year by Bishop Alexander Sample of Marquette, MI. ... 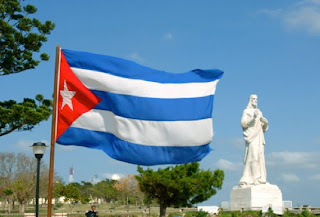 I greet with heartfelt affection all the faithful of the Catholic Church in Cuba, the beloved people of this beautiful island, and all Cubans wherever they may be. Dear friends, I am convinced that Cuba, at this moment of particular importance in its history, is already looking to the future, and thus is striving to renew and broaden its horizons. Of great help in this enterprise will be the fine patrimony of spiritual and moral values which fashioned the nation’s true identity ... .
Dear friends, thank you so much for this enthusiasm. I feel so joyful for being with you. I have made been on many journeys, but I have never been welcomed with this much enthusiasm. I will take with me, in my heart, my impression of these days. Mexico will always remain in my heart. I can say for years I have prayed daily for Mexico, but, in the future, I will pray even more. 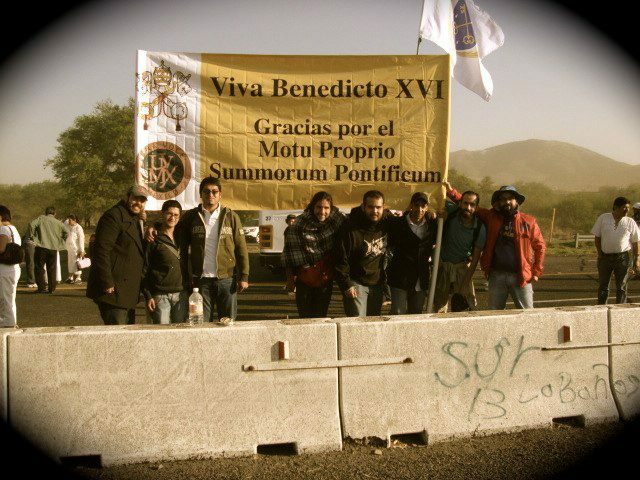 I can now uunderstand why Pope John Paul II said, "I feel I am a Mexican Pope!" 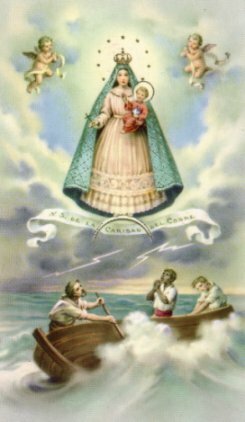 The Holy Father arrives in the largest island in the Caribbean today to celebrate the 400th anniversary of the finding of the image of the Patroness of Cuba, Our Lady of Charity of El Cobre, in 1612. This is not a Traditional Catholic video, of course, and one would not be expected from Kirche in Not (Aid to the Church in Need) - though we could not notice the kind of liturgical aberrations present in the pseudo-multi-culti-fest of a certain Religious Education Congress. 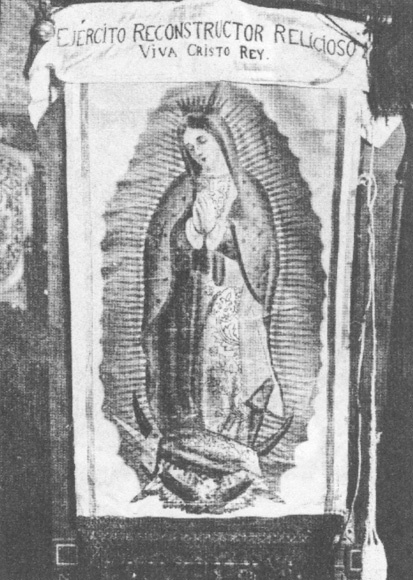 But how not to be in awe and deeply touched by the faith and intense joy of the people in each small and poor community when the pilgrim image of the Patroness of Cuba arrives in her pickup truck? After so much isolation and persecution, they still care deeply for their Mother, who has never abandoned them. And, thanks to this same Pope and Summorum, even the Traditional Mass has returned to La Llave del Nuevo Mundo. 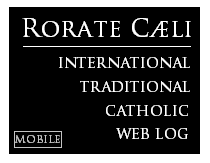 Rorate disclaimer: as it has happened in such occasions in the past, our readers know that we post information we consider useful even if we deeply disagree, in fundamental and non-negotiable principles, with their authors. That is the case, for instance, when we post encouraging news from the Eastern Orthodox. And it is also the case today as we post two excerpts on an interview granted by Fr. 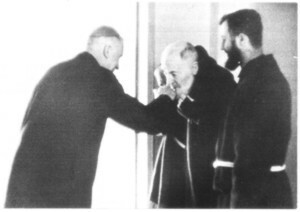 Anthony Cekada exclusively related to the liturgical history of the Mass of Paul VI, as explained in his well regarded book, Work of Human Hands. Work of Human Hands has been praised by reviewers as diverse as author Dr. Geoffrey Hull ("well documented… original and worthy of attention"), liturgical historian Dr. Alcuin Reid ("flags the big question we've not been prepared to face"), ICEL Director Msgr. Andrew Wadsworth ("an important contribution to the current debate"), and Dr. Stephen McInerney ("the definitive traditionalist critique"). One of Abp. 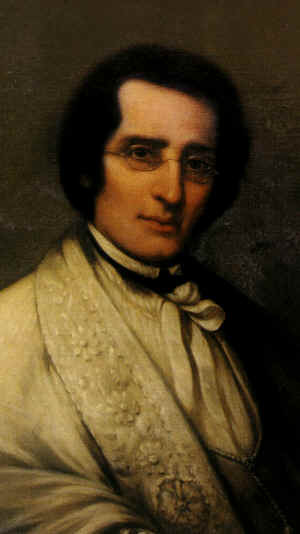 Bugnini's closest collaborators in his liturgical work, Fr. Matias Augé, who was closely involved in preparing and organizing the orations in the Missal of Paul VI, declared about the book: "The title itself is an open polemic against the Pauline reform — as if it were nothing more than the product of human scheming." With this disclaimer, we present the interviews, with introductions by the author himself. I began work on Work of Human Hands: A Theological Critique of the Mass of Paul VI on November 29, 1964, when I was thirteen years old. This statement is only a slight rhetorical exaggeration. The date is when the first post-Vatican II liturgical changes were introduced. Like many people, I didn't care for the new liturgy. "Evil cannot thwart the divine plan of salvation"
The people of Jerusalem and their leaders did not acknowledge Christ, yet, by condemning him to death, they fulfilled the words of the prophets (cf. Acts 13:27). Human evil and ignorance simply cannot thwart the divine plan of salvation and redemption. Evil is simply incapable of that.... I encourage you to continue to share freely the treasures of the Gospel, so that they can become a powerful source of hope, freedom and salvation for everyone (cf. Rom 1:16). May you also be faithful witnesses and interpreters of the words of the incarnate Son, whose life was to do the will of the Father and who, as a man among men, gave himself up completely for our sake, even unto death. "Her arrival filled all Anahuac with joy..."
... Today we invoke Mary Most Holy and we ask her: “show Jesus to us”. Letter of the District Superior for Germany of the Society of Saint Pius X - ordered to be read by the priests in all churches and chapels of the District on Sunday [March 25]. On March 16, in Rome, Cardinal Levada, Prefect of the Congregation for the Doctrine of the Faith, delivered to the Superior General of our Fraternity, Bishop Fellay, a letter with certain statements in which a response to the doctrinal preamble of September 14, 2011, is ultimately asked from us that is more positive than what has been put forward so far. The deadline for a response is April 15, 2012. Surely you have heard this already from the media, entirely or partly. We have thus reached a decisive point. If the letter seems to bear a negative tone, there is also legitimate hope for a satisfactory solution. If it comes into fruition, it would strengthen all conservative forces within the Church; if not, those would be weakened and discouraged. So this is not primarily about our Society, but about what is good for the Church. 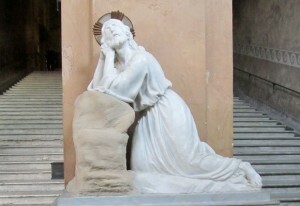 Therefore we ask for the fervent, persistent and supplicating prayer of all our faithful and of all Catholics, so that God, through the redemptive suffering of His only begotten Son, will lead his Church out of her current crisis to give her new life, strength, and prosperity in the holy Resurrection of Jesus. The Pope in Mexico: "Para que Cristo reine"
Dear brothers and sisters, by coming here I have been able to visit the monument to Christ the King situated on top of the Cubilete [hill]. 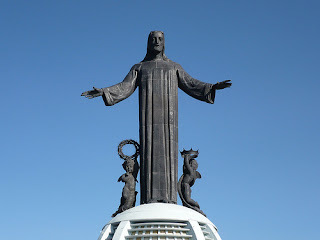 ...This monument represents Christ the King. But his crowns, one of a sovereign, the other of thorns, indicate that his royal status does not correspond to how it has been or is understood by many. His kingdom does not stand on the power of his armies subduing others through force or violence. It rests on a higher power than wins over hearts: the love of God that he brought into the world with his sacrifice and the truth to which he bore witness. This is his sovereignty which no one can take from him and which no one should forget. Hence it is right that this shrine should be above all a place of pilgrimage, of fervent prayer, of conversion, of reconciliation, of the search for truth and the acceptance of grace. We ask Christ, to reign in our hearts, making them pure, docile, filled with hope and courageous in humility. Let us ask the Blessed Virgin Mary to assist us in purifying our hearts, especially in view of the coming Easter celebrations, that we may enter more deeply the salvific mystery of her Son, as she made it known in this land. And let us also ask her to continue accompanying and protecting her Mexican and Latin American children, that Christ may reign in their lives [para que Cristo reine en sus vidas] and help them boldly to promote peace, harmony, justice and solidarity. Amen. The disciple of Jesus does not respond to evil with evil, but is always an instrument of good instead, a herald of pardon, a bearer of happiness, a servant of unity. He wishes to write in each of your lives a story of friendship. Hold on to him, then, as the best of friends. He will never tire of speaking to those who always love and who do good. This you will hear, if you strive in each moment to be with him who will help you in more difficult situations. I have come that you may know my affection. Each one of you is a gift of God to Mexico and to the world. Your family, the Church, your school and those who have responsibility in society must work together to ensure that you receive a better world as your inheritance, without jealousies and divisions. That is why I wish to lift up my voice, inviting everyone to protect and to care for children, so that nothing may extinguish their smile, but that they may live in peace and look to the future with confidence. You, my dear young friends, are not alone. You can count on the help of Christ and his Church in order to live a Christian lifestyle. Participate in Sunday Mass, in catechesis, in apostolic works, looking for occasions of prayer, fraternity and charity. 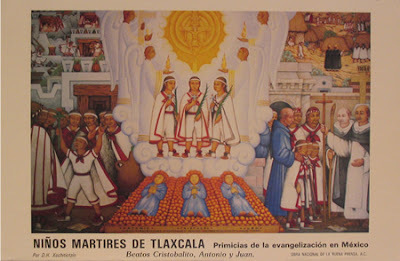 Blessed Cristóbal, Antonio and Juan, the child martyrs of Tlaxcala, lived this way, and knowing Jesus, during the time of the initial evangelization of Mexico, they discovered that there is no greater treasure than he. They were children like you, and from them we can learn that we are never too young to love and serve.